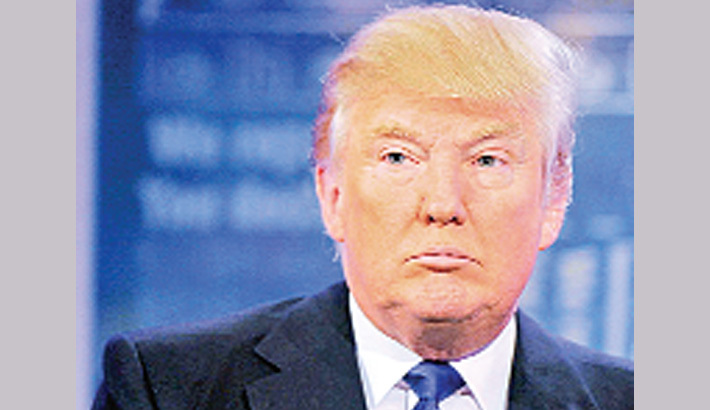 Donald Trump has softened his stance on the most controversial proposal of the 2016 election campaign, saying that his call to ban Muslims from entering the US was “just a suggestion”, report agencies. The ban was only supposed to be temporary, he said in a separate television interview with Fox News. He pointed to examples of terrorism in Paris, San Bernardino in California, the 9/11 attacks, and the “the other night in Germany, look what happened on the train”, referring to a German citizen called Paul H who ran amok near Munich, stabbing four people. Authorities said the man had no terrorist links. Trump called for the ban on Muslims in November last year, shortly after the terrorist attacks in Paris which killed 130 people. Despite international outrage, he refused to apologise or retract his comments – until this week, following a response from the new London mayor Sadiq Khan, a practising Muslim, who told reporters he will not be Trump’s Muslim “exception”. Trump’s softer tone against Muslims was adopted during an interview to discuss the immigration committee he was forming with the controversial and right-wing former mayor of New York City, Rudy Giuliani, who Trump described as “smart” and “tough”. Instead of banning Muslims, Trump said he wanted to make the Gulf States pay for “numerous safe zones” within Syria and other countries for Muslim refugees to live in, instead of emigrating – and he said the US would not pay for it due to a $19 trillion “hole”. The businessman made the U-turn the same day he was expected to meet with house speaker Paul Ryan for Republican “peace talks” in Washington, two months before the party convention. On the path to becoming more presidential, Trump has also softened his rhetoric on transgender people, Planned Parenthood, tax and on the minimum wage.